Farmers working remote, small plots of land can’t wait for coffee revenues to trickle down to them. Commodity-driven coffee markets are causing them to earn less than their parents did 40 years ago. Our program addresses this chronic problem. We help farmers improve their professional approach to growing and trading specialty coffee, so they can form direct, productive relationships with coffee cooperatives, processors, importers and roasters. Research indicates that yields on farms worldwide can increase by up to +30% if women are given the same productive resources as men. During their first harvest after our training in 2015, graduates from our program experienced a yield growth of 300%. We are the the largest gender program available to train women coffee farmers and their families. We've already helped nearly 37,000 women coffee farmers lead successful family businesses. We have programs in Rwanda, the Democratic Republic of Congo and Colombia.  We invite you to help us expand our efforts to help transform family farms into a family businesses, led by enterprising women.